The Greater Lansing Sports Authority is pleased to announce the return of the Special Olympics of Michigan Poly Hockey & Unified Bowling Finals scheduled to be held November 17-18, 2018 in Greater Lansing. More than 1,100 athletes, coaches and chaperones from 49 counties take part in the Poly Hockey & Unified Bowling Finals each year and Michigan&apos;s Capital City is ready to welcome them with open arms. "The indelible spirit of competition and camaraderie are on display in these games more than any other," said Mike Price, Executive Director of the GLSA. "We welcome these athletes along with their friends and families to our community and sincerely hope wonderful memories and friendships are made. It’s what the games are all about." Poly Hockey and Bowling events will be going on throughout the community and numerous volunteer opportunities abound for those looking to enrich his or her life. Poly Hockey action will occur at Eastern High School and Don Johnson Fieldhouse in Lansing on November 17th and 18th. Poly Hockey is an adaptive sport similar to floor hockey. Athletes use plastic hockey sticks and pucks and play on a floor surface. The poly hockey competition will consist of both team play and an individual skills contest. Unified Bowling will occur at Royal Scot Golf bowl and Banquet Center in Lansing on the 17th and 18th as well. Unified bowling pairs a Special Olympics Michigan athlete with an athlete who does not have an intellectual disability. Do something special this weekend and volunteer to be a part of the Poly Hockey & Unified Bowling Finals! ONLINE VOLUNTEER REGISTRATION IS CLOSED. HOWEVER, WALK-ON VOLUNTEERS ARE WELCOME EACH DAY. PLEASE ARRIVE BY 8 AM IF YOU WISH TO VOLUNTEER. Scorekeeper (1-2 per court): Volunteers will work with officials in recording the scores for each game and for updating the score on the scoreboard. Volunteers will keep track of athlete numbers and goals scored and will turn in the final score at the end of each game to the registration table so that scores can be posted in a timely manner. Timer (1 per court): The timer is responsible for keeping the official time during the game on the scoreboard and also for working with the officials during timeouts to keep track of the time. Skills (5 per station): The individual skills contest is designed for lower functioning athletes who may not be ready to have meaningful involvement in team competition. Events in the skills competition include the shoot around the goal, pass, stick handling and shoot for accuracy. Volunteers will assist with scorekeeping, judging, timing and escorting the athletes between the events. Special Events (5-10 per shift): Special events are events designed to provide fun, social interaction and a positive experience for athletes when they are not competing. Special Events include: games, crafts and more and are a great way to interact with our athletes in a social setting. "As the organization focused on bringing athletic tournaments and events to the Greater Lansing area, I&apos;m very proud of the work we&apos;ve done with the Special Olympics of Michigan," continued Price. "I encourage Lansing residents to get out to these events, or possibly volunteer, and find yourself falling in love with the passion and love for sport, the value of teamwork, in these dedicated athletes." 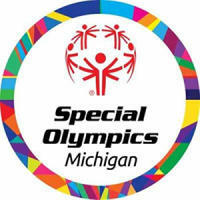 For information on volunteering with this meaningful cause beyond this weekend, find the information on the Special Olympics of Michigan website.